They strive to create a world where every child that has experienced a crisis of parenting has the opportunities and support they need to pursue their dreams and become productive members of our community. 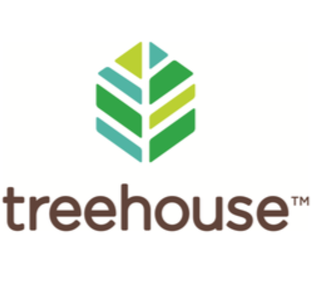 Treehouse is committed to providing academic support to local foster children so that they can graduate high school on time and go to college! On August 26, 2016 we donated 20% of sales to the Women's Education Program at Antioch University! Lost Lake is proud to celebrate National Women's Equality Day August 26th! This day remembers the passage of the 19th Amendment to our Constitution that finally granted women the right to vote in 1920. We are partnering with the Women's Education Program at Antioch University for our August Lost Lake Cares donation. This noble organization continues to empower and educate women like so many of our brave suffragettes did almost a century ago! It is a clean, sober, and safe community for homeless and formerly homeless women to enjoy a hearty breakfast and free learning activities. WEP fosters individual and collective creativity in a warm and welcoming academic environment and engages the adult learner in collaborative educational opportunities to honor diversity of experience and expression. On Tuesday, June 21st 2016 we donated 10% of all proceeds on to the Reel Queer Youth video production training program! Reel Queer Youth is a non-profit program under Three Dollar Bill Cinema,They provide a safe, open and fun enviroment for LGBTQ youth and allies to express themselves through film, lead by a team of professional filmmakers and mentors!